The Reject Shop website doesn’t give me much information. 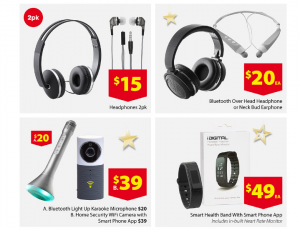 as far as I can tell, iDigital seems to be a brand that sells rebranded gear. The manual gives us some basic specs though. The rest of the manual is pretty sparse, just setup instructions and some basic FAQ/Troubleshooting. 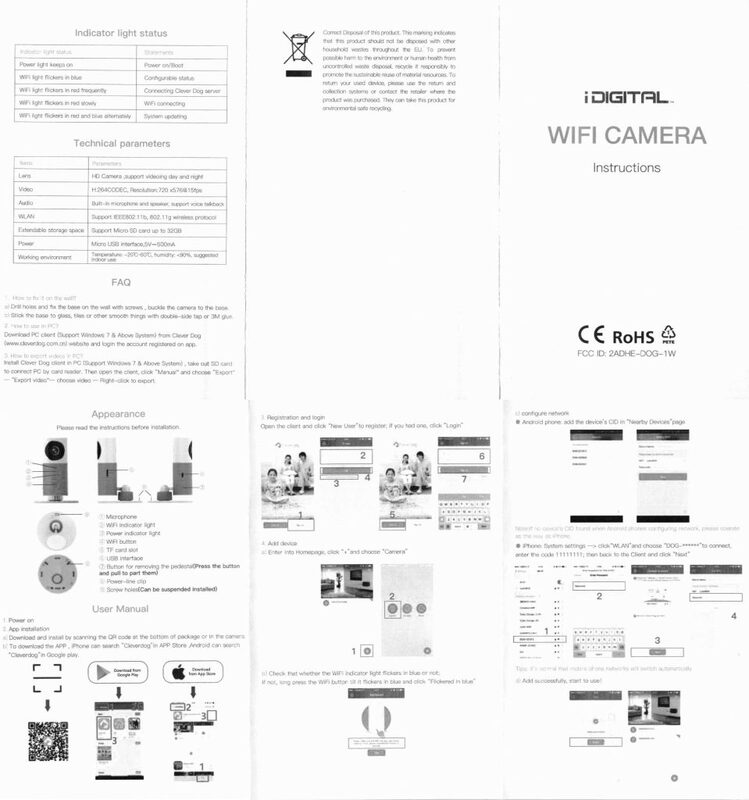 A scan of the camera’s manual. 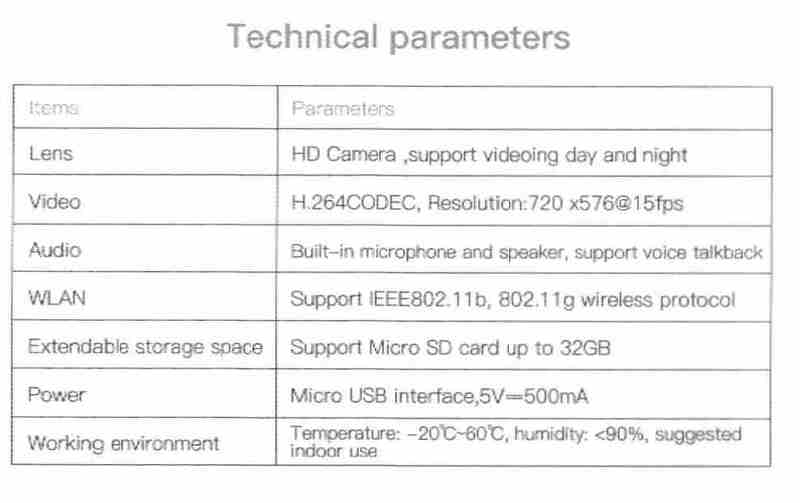 The camera itself comes in a tidy little box, and contains the Camera itself, the instruction manual, a stand, wall plugs with screws, and a Micro-USB cable. The contents is similar to the Xiao Yi camera I received a while ago, though this camera is quite a bit smaller than the Xiao Mi. This camera has the ability to be wallmounted as the camera base has some drill holes and also has a separate base cover so that you can screw the base in, then click the base cover onto the base. The base also allows the camera to be rotated in any direction without restriction with the ball and socket mount. The bottom of the base, and after it’s been loosened. 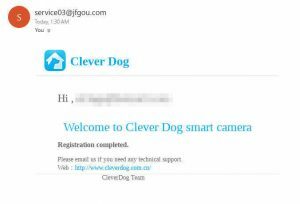 Setting the camera up requires downloading the Clever Dog App, as well as signing up for an account at http://www.cleverdog.com.cn, presumably the original manufacturer of this camera. When I first ran the app, it asked for Storage permissions and would refuse to run unless that permission was granted. After signing in, hitting the + got me to the add device screen. I had to allow “Location” access for some reason before the app would proceed. After that, I chose a camera and chose the camera type that I had. 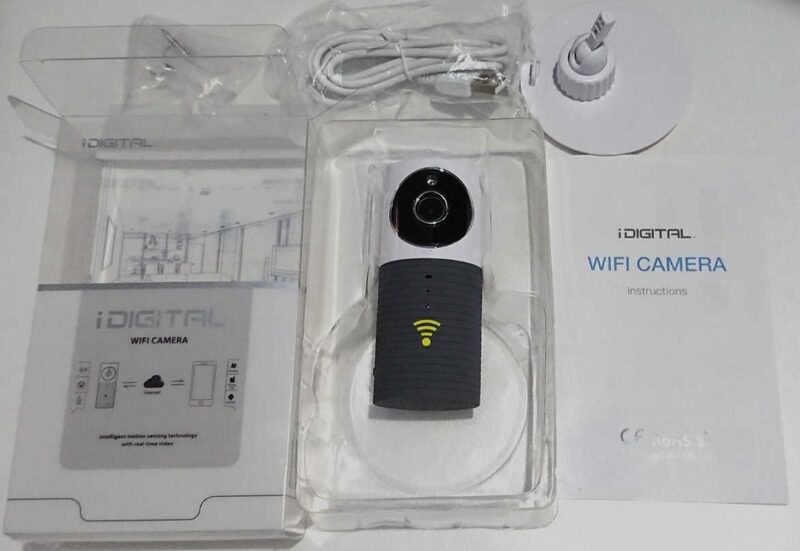 After choosing the camera, the app scanned for the wifi network that the camera broadcasts by default, and then you set up the Device Name, WiFi network, and the WiFi network password. It doesn’t hide the password so make sure you don’t have anyone near you who doesn’t already know the password! Once the camera is added, it’ll show up in the list of devices. If the camera needs a firmware update, it’ll ask you to OK it when you try and connect to the camera. Downloading the firmware update was pretty quick, and afterwards tapping the camera in the list would connect to it, and then hitting play would then show you the live view of the camera. Connected, Updating, and then viewing the live feed. The first thing I inadvertantly tried with this camera was the night vision. The camera has 4 IR LEDs arranged in a circle around the lens which gives it enough infrared to see detail. The image quality on the camera isn’t great but it’s clear enough that you can see if something is awry. Motion detection alerts are through push notifications to your phone. They are setup by default so you don’t even need to do anything. They also don’t require a Micro SD card which is useful. The captures are uploaded somewhere, I suspect to the servers in China, but this allows you to view them even if the camera is offline. The motion detections seems pretty sensitive as I had captures where I couldn’t discern where the motion was being detected. Something to highlight where the motion was detected woudl have been nice. The camera is actually a ‘cloud’ camera. You can view the camera while you’re not at home, but all the video goes through a server in China before it gets to your mobile phone. 2-Way audio is also a pretty good feature, allows you to hear what’s going on in the vicinity around the camera, and you can also talk through the camera, but again would be going through China before it gets to you. If this is the Motorized Camera (icon is white camera surrounded by green on black background) through the Android app- which is easy to set up but it’s next to useless. It’s very slow, it drops offline and takes ages to get it back online, four – five times to get the thing to arm/connect after rebooting the phone and the app several times. Angling the camera remotely can be very slow and frustrating. The night vision is useless in a window because the lights reflect off the window unless someone’s standing in front of it, really good day time vision though. ( I have mine in a front window aimed at the footpath entry to the front door). It says you get alerts, but I don’t how. Do yourself a favour and get a Swann from Kogan, about $10 more, possibly the same but rebranded and better. If you need a visual deterrent/dummy security camera this would be ideal, but don’t rely on it for remote security, it does work but only when it wants to. You can buy better for a bit more than $40. Not the motorised camera. But it seems to do everything as advertised, though it does funnel a lot of stuff to China. This app has a blue dog on it. Does the camera run off batteries?